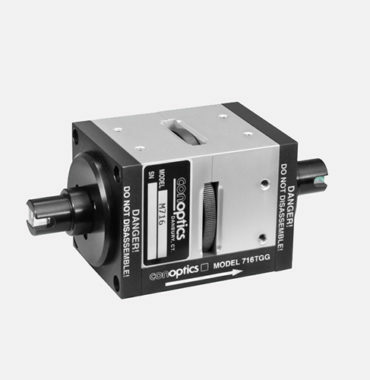 Conoptics has always provided the option of delivering customized solutions. 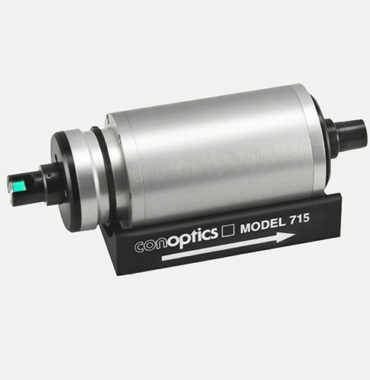 These specialized products fit into our market expertise and include optical isolator, modulators and modulation systems. 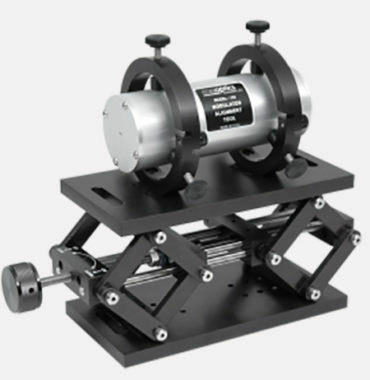 We have designed and delivered custom solutions currently in use for video disc mastering, optical trapping, scanner correction and a space qualified deflector. 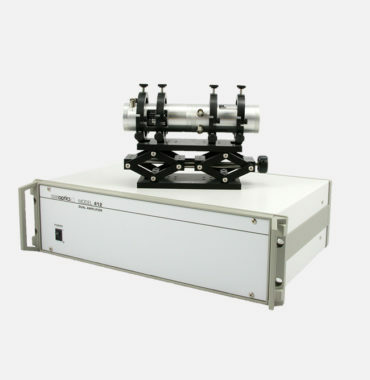 We have also supplied custom modulators for un-polarized lasers, laser machining and annealing, semi-conductor analysis and multi-pass high-speed modulators. Please feel free to contact our sales team and discuss your requirements. 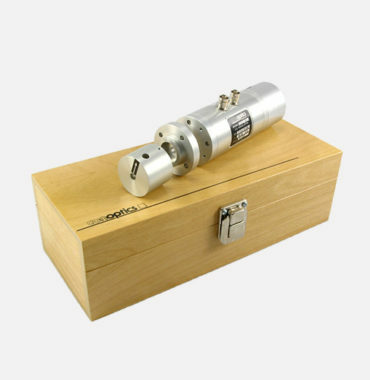 Designed for use with Ti:Sapphire Lasers Conoptics has released the Model 201 Laser Attenuator / Power Splitter that permits the end user to split the laser beam exiting the Ti:Sapphire laser into (2) distinct beams and control the power for each instance. 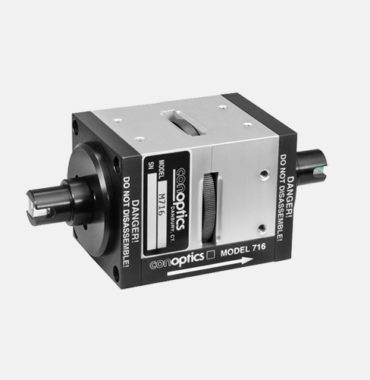 Conoptics’ new “Beam Block” assembly allows an integrated solution that terminates the rejected component of the polarizer. 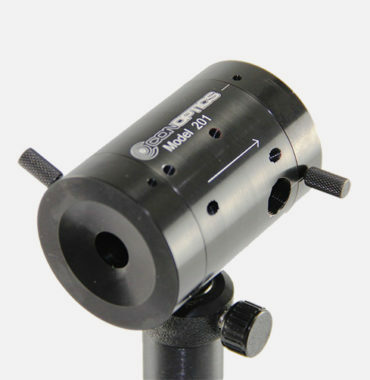 This innovative design eliminates the need for any external beam block, and provides a safer setup design. 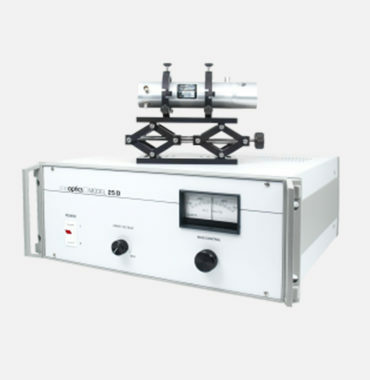 Input Polarizer is used to improve the purity of the laser beam entering the pockel-cell. 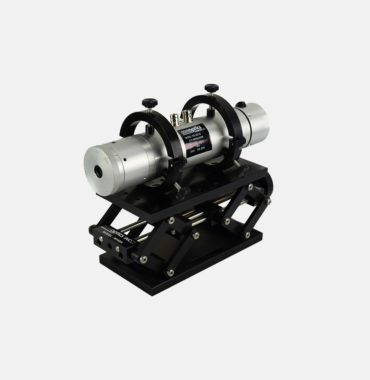 The performance of our modulators in particular the extinction ratio and transmission, are dependent on proper alignment of the laser beam and its polarization. 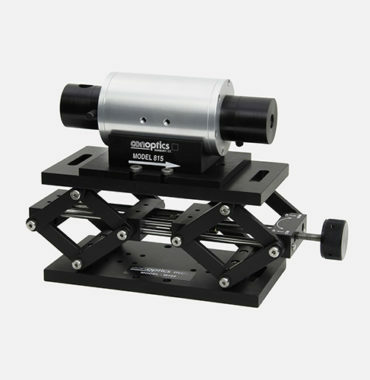 Conoptics has developed a complete line of mounts for use with our modulators and deflectors. Customized options are also available. Optical Isolator with input and output polarizer’s pre-aligned to the rotator glass. In this configuration the “input end” is the end with the tuning ring. 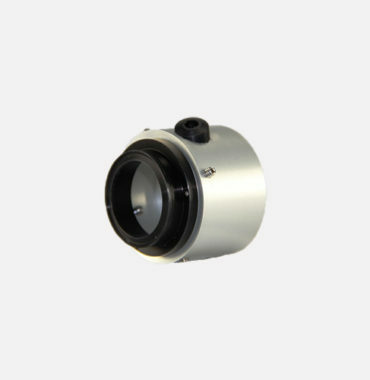 The input polarizer is aligned for vertical input polarization and the output polarizer is 45 degrees to the input. Optical Isolator with input and output polarizer's pre-aligned to the rotator glass. In this configuration the "input end" is the end with the tuning ring. 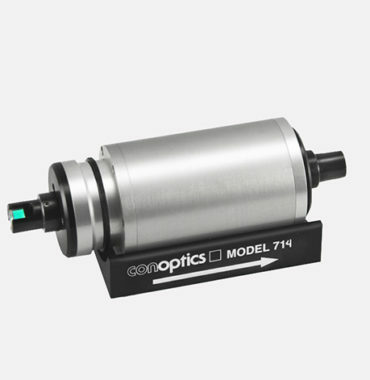 The input polarizer is aligned for vertical input polarization and the output polarizer is 45 degrees to the input.